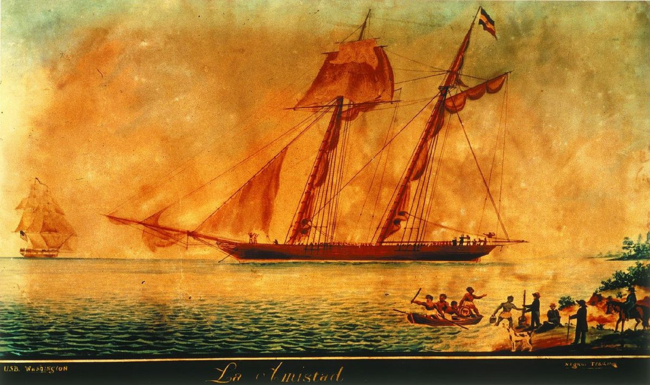 Long before the Civil Rights movement of the 20th century, a group of kidnapped African natives bound for the Cuban slave trade revolted aboard their ship, Amistad. Attempting to sail back to Africa, the men were captured off Long Island and taken to New Haven, Connecticut. What followed was a complicated trail through federal courts beginning in Connecticut debating the issues of human rights versus property rights. The question of slavery was yet to be decided by a civil war, and the bulk of civil rights legislation would not become a reality for over one hundred years. We know through painful experience that freedom is never voluntarily given by the oppressor; it must be demanded by the oppressed." Also in New Haven, a little known civil rights case was decided in Superior Court in 1939. The case centered around the claim of overcharging based on racial bias. Plaintiff claimed discrimination in treatment, in violation of Connecticut statute. Connecticut law created a cause of action "in favor of persons deprived, on account of alienage, race or color, of the full and equal enjoyment of privileges of places of public accommodation, or discriminated against, on that account, in the price of the enjoyment of such privileges." The action was, one senses, pursued out of principle rather than for the damages awarded ($.80). The memorandum also details some interesting technical history of civil rights laws in Connecticut. Of further interest, however, is the fact that counsel for the plaintiff, Attorney Harry Watstein, later in his career served for a period of ten years as Librarian at the New Haven County Law Library.